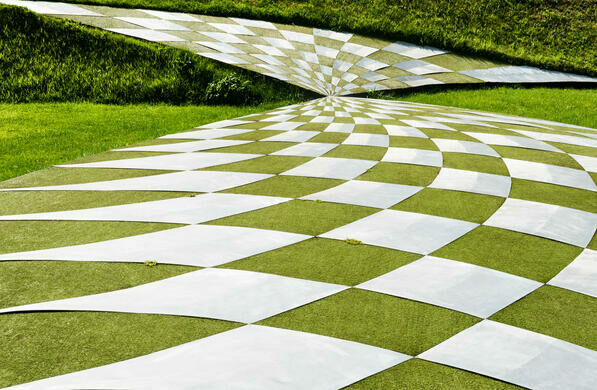 A 30-acre garden inspired by the principles of modern physics. 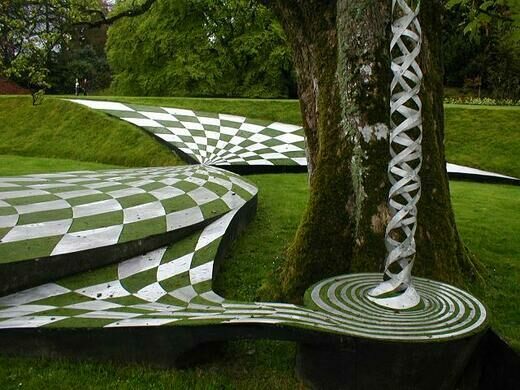 Snail-shaped grass mounds, twisting DNA helix sculptures, and undulating waves of rhododendrons make up the Garden of Cosmic Speculation, a 30-acre garden whose design is guided by the fundamentals of modern physics. Legend says this cave housed a 16th-century cannibal and his family of 48. The garden was designed by architecture theorist Charles Jencks and his late wife, Maggie Keswick, an expert on Chinese gardens. 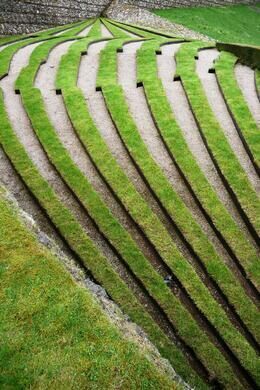 Located at their private residence, Portrack House, near Dumfries, Scotland, the design, according to Jencks, brings out the basic elements that underlie the cosmos. 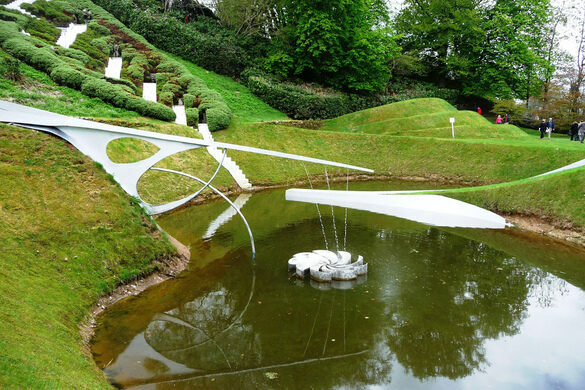 The garden features five major areas connected by a number of artificial lakes, bridges, and other architectural works, including large white staircases and terraces that zigzag down a green hillside, representing the story of the creation of the universe. Jencks continued work on the garden through 2007. Today, it is open to the public one day a year through the Scotland’s Gardens Scheme and helps to raise money for Maggie’s Centres, a cancer care foundation named after Jenck’s late wife. Holywood 1½ miles off A76, five miles north of Dumfries. Tickets are limited to 1,500 visitors on one day per year. Tickets are available through the Scotland Gardens website. An Anglo-Saxon cross inscribed with possibly the oldest written work of English literature. 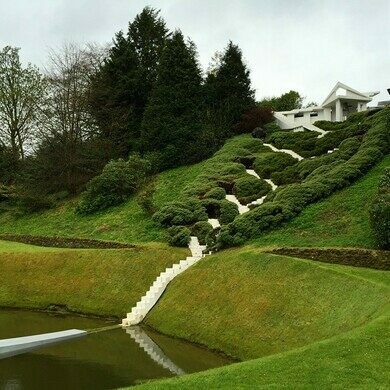 This luscious masterpiece created by landscape designer Bevis Bawa inspired the work of his brother, a famous Sri Lankan architect.